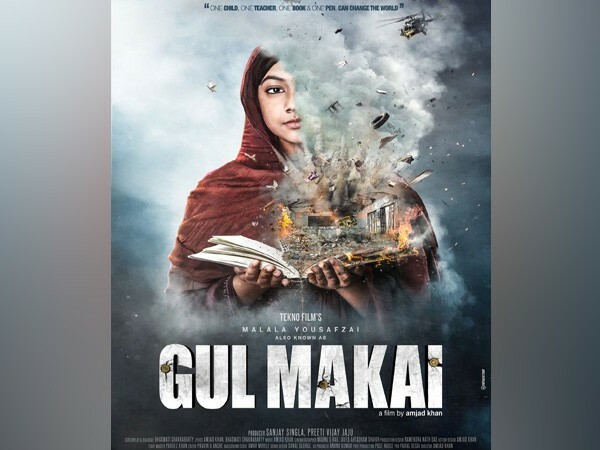 The first look of 'Gul Makai'- a Bollywood film on the life of Pakistani social activist Malala Yousafzai is finally out. The film has chronicled the journey of Malala from her days in Swat Valley to her becoming the youngest Noble peace prize winner. The teaser will be out soon. The film is directed by Amjad Khan, the cast of the film includes Reem Shaikh, Divya Dutta, Mukesh Rishi, Abhimanyu Singh and Ajaz Khan. At the age of 17, Malala became the youngest person to win the Nobel Peace Prize after surviving an assassination attempt by the Taliban in 2012. She founded the Malala Fund, a non-profit organisation and in 2013 co-authored 'I am Malala', an international bestseller. She has continued to speak out on the importance of education.